Following their clash with their villainous doubles from the Mirror Universe, the Enterprise crew returns to business as usual, little realizing the serpent in their midst-one of their own has been replaced! 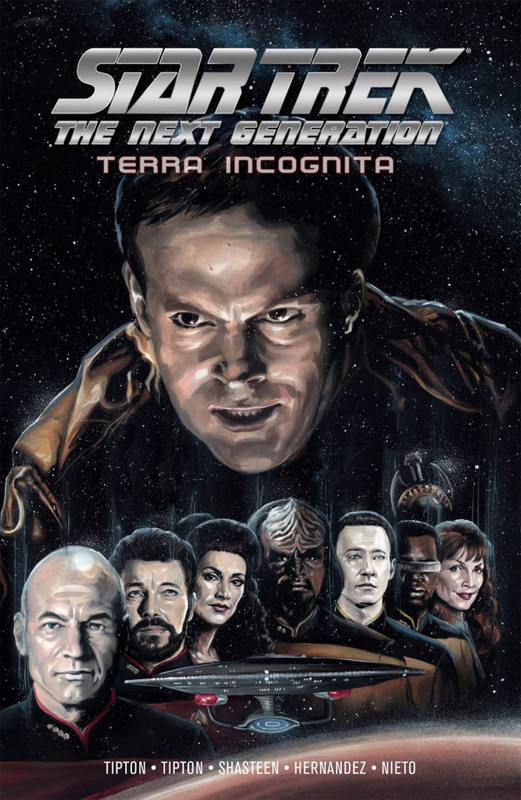 Six stories focusing on fan-favorite crew members of the Enterprise-D-including Deanna Troi, Wesley Crusher, and Selar-each connected by the machinations of this sinister doppelganger. What does Mirror Barclay want, and what's to become of his Prime-universe counterpart?! Following the blockbuster MIRROR BROKEN and THROUGH THE MIRROR storylines comes a brand-new Next Generation series, featuring untold tales of the U.S.S. Enterprise-D!